Master Serrano has been training for more than 38 Years. After growing up in Inner-city Chicago where he was a bullied child with low self-esteem, he began his formal martial arts training as a teen and continued his Martial Arts Leadership Training as a Cadet at the United States Air Force Academy and a member of the Air Force Karate Team. Even before earning his first Black Belt, Hanshi Serrano was quickly recognized as a highly skilled and accomplished instructor and competitor. He worked his way through college teaching martial arts and worked as a police officer until he dedicated his life full-time to teaching martial arts to families. 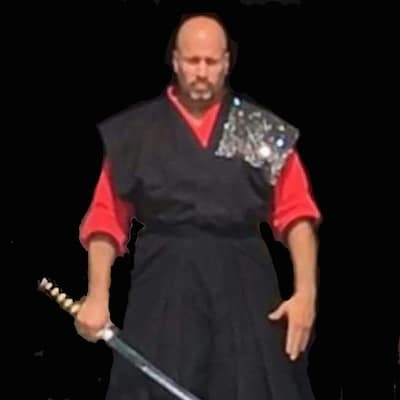 Hanshi Serrano is an Internationally Certified Eighth Degree Master Instructor with extensive experience in many different styles of martial arts. He also has been recognized as one of the best instructors in the country, and has personally won many International Championships & Gold Medals, and has been inducted in the Martial Arts Hall of Fame as a Competitor, Master Instructor and also as a Martial Arts School Owner. Over the years, his instruction and influence has made a significantly positive difference in thousands of lives, and he has developed leaders that have demonstrated those leadership qualities in martial arts and also numerous other industries. After retiring from competition in 2009, Hanshi Serrano continued to dedicate his life to the martial arts for the benefit of his students at Martial Arts America. Since early in his martial arts training, Hanshi Serrano developed an appreciation for a well-balanced martial arts curriculum that would allow a student to maximize their potential no matter what body style or level of fitness they were at when they started. Throughout his career, Hanshi Serrano trained with Grand Master Instructors, World Champions and Famous Experts in many different fields to ensure that his students would receive the best training martial arts had to offer. He successfully developed a sophisticated training curriculum for his students that brought together the different styles of martial arts in a way that takes full advantage of modern training techniques and newly discovered knowledge while preserving their traditional value. 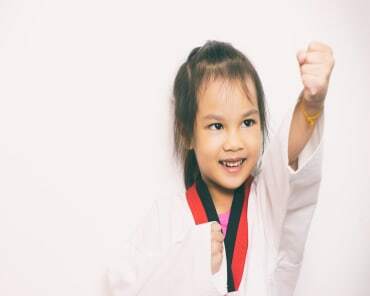 What this means for Hanshi Serrano’s students is that they will get the benefit of many different styles of martial arts while training in one core curriculum maintaining the opportunity to grow without the burden of starting over in another system. 2017 Martial Arts America Black Belt, Rose Namajunas won the UFC World Championship. 2009 As a Coach & Member of the US Pankration Team in the 2009 Pankration World Championships held in Lithuania, Team USA Pankration won the TEAM GOLD along with a US team total of 9 Gold, 13 Silver, and 6 Bronze Medals. Eight members of the US Team from Martial Arts America in Greendale, WI won 5-Gold, 7-Silver, 1-Bronze and Two 4th places and one 5th place of the US Team total - An unprecedented feat. Hanshi Serrano personally won a Gold and a Bronze. April, 2008 Inducted into USA Martial Arts Hall of Fame & selected as the Grandmaster Of The Year Award. April 12-13, 2008 - Head Coach for TEAM USA at the World Cup Pankration & Martial Arts Championships held at Lambeau Field in Green Bay, WI. US Pankration Team won the Gold Medal. In addition, 19 Martial Arts America-Greendale members of Team USA also won a total of 9 - Gold Medals, 14 - Silvers, 9 - Bronzes and 4 - Fourth Places. September 2007 - As the HEAD COACH for the 2007 US Pankration Team, he led the team in the 2007 FILA World Pankration Championships in Antalya, Turkey to 2 Gold Medals, 5 Silvers and 1 Bronze. August 2006 - As the HEAD COACH for the 2006 US Pankration Team, he led the team to a Second Place in the World for the Overall Medal Count. 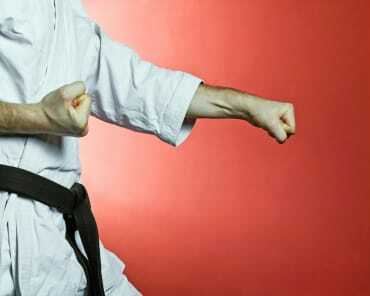 10 of the 12 US Team Members were Martial Arts America Black Belts. SILVER MEDAL - 2006 Pankration World Championships, in Thessaloniki, Macedonia, Greece August 26th-27th, 2006. BRONZE MEDAL – Team Captain & Fighter for US Team in the 2002 Clan Challenge Team Fighting Competition. GOLD MEDAL - 2001 Pan-American Marital Arts & Pankration Games - Men's Heavyweight Fighting - Also 2nd Place Karate Fighting / 3rd Place Forms / 4th Place Weapons. - Special Recognition as a member of the International Referees Committee. 3 - HALL OF FAME INDUCTIONS for Martial Arts America Students in 2001. Appeared in the nationally acclaimed police training movie, "Surviving Edged Weapons." 1980 NATIONAL CHAMPION - United States Air Force Academy Karate Team.